The Learning Crossroads offers modern study rooms that promote collaboration and exchanges between different disciplines. 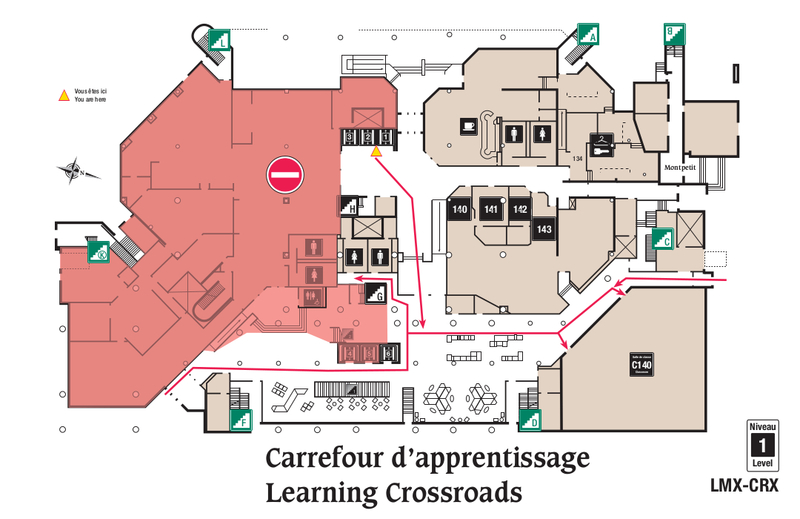 The Learning Crossroads (CRX), located at 100 Louis-Pasteur, began its gradual opening on January 15th, 2018, giving students immediate access to two new classrooms, more than dozen group study rooms, and over 1,000 new study spaces for the winter term… and there are power and USB outlets everywhere. CRX is entirely dedicated to active learning, innovative, technology-enabled teaching, and providing new study spaces. The new Library spaces will offer a variety of technologies and study spaces, with staff available to help students and faculty who want to book the rooms and use the equipment for group work and special events. They will also provide training and assistance with a wide range of digital projects. The Teaching and Learning Support Service Training Centre (TLSS) will offer training and support to instructors as they explore new teaching methods and modes of learning with digital technologies. "The new Library spaces will focus on active learning experiences that occur beyond the classroom, with dynamic and technology-rich environments where students can learn and create together. Our new study spaces will support students in a wide range of digital media projects, providing digital design studios and interactive screens allowing for immersive, large-scale displays." 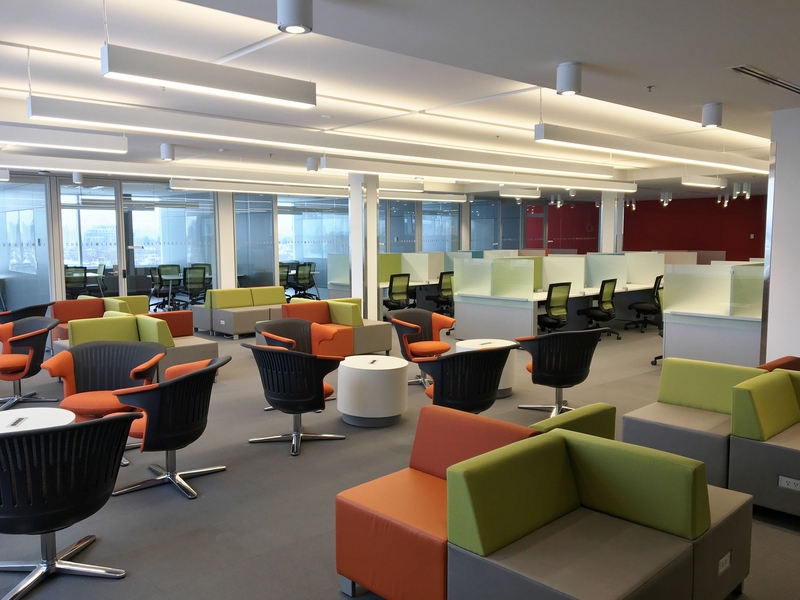 1,000+ NEW STUDY SPACES AND MORE! Certain accessibility deficiencies have been identified and will be addressed shortly as a priority item for Facilities. We apologise for any inconvenience this may cause and welcome your feedback as we address these issues. 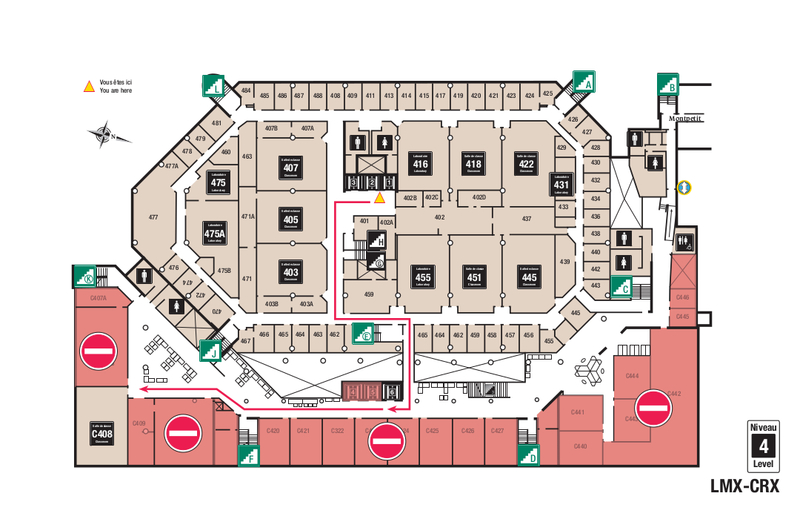 Please refer to the following signage for accessible paths through the Learning Crossroads when planning your route(s) to class C140 on level 1 and/or C408 on level 4. The same signage will be posted inside the building. Civil Engineer: Novatech Engineering Consultants Inc.
Landscape Architect: CSW Landscape Architects Inc. Structural Engineer: Cleland Jardine Engineering Ltd.